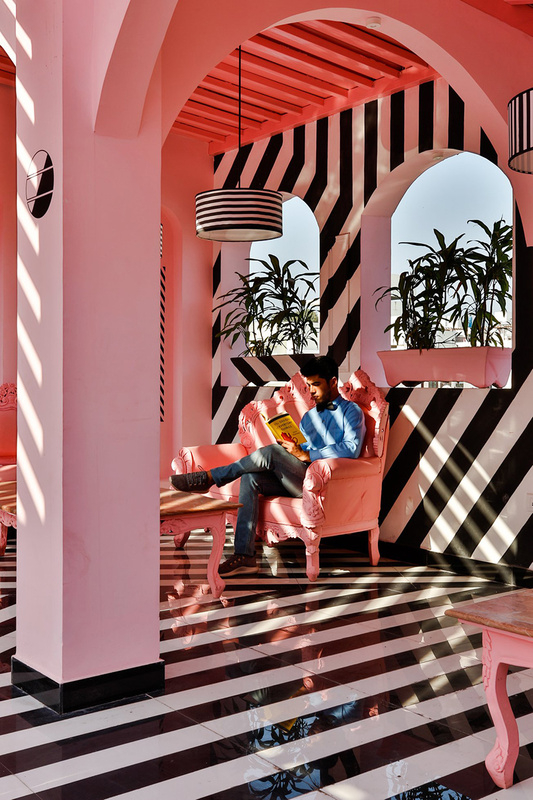 RENESA is an architecture and interior design firm based in new delhi, india. 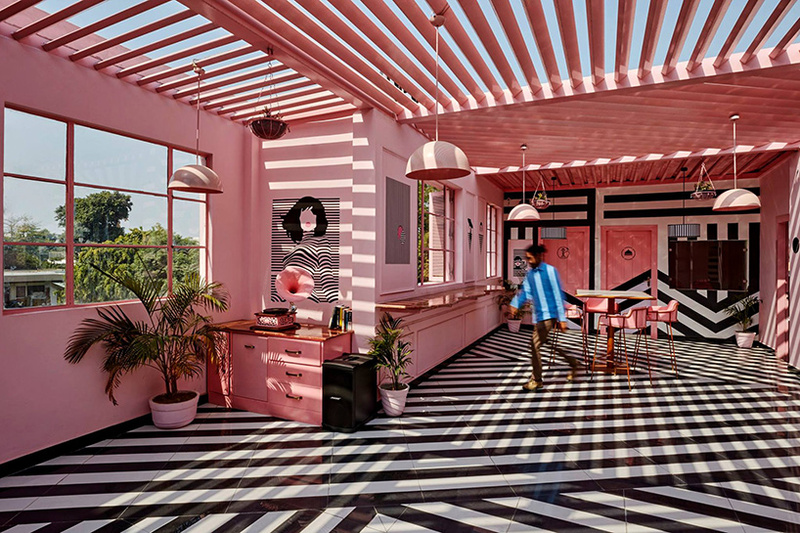 the firm is led by sanjay arora, whose son, sanchit arora, is the studio's head architect. 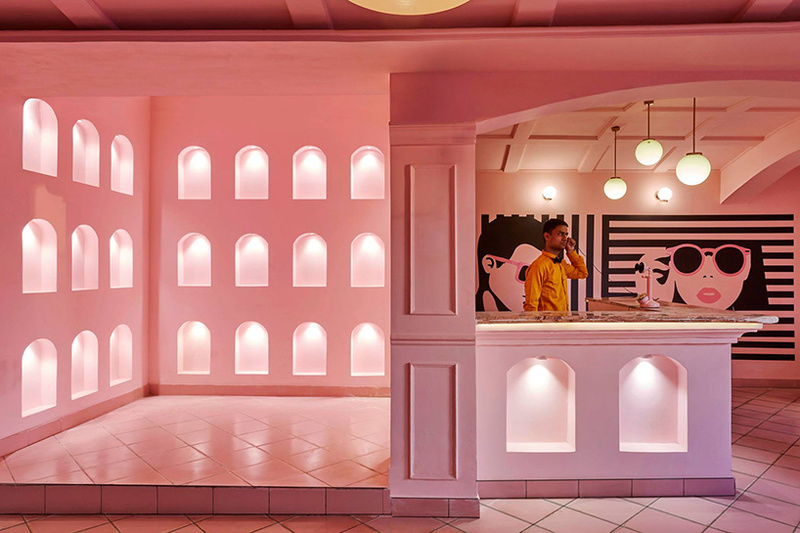 this restaurant in northern india references everything from the bygone days of the british empire to the films of wes anderson. 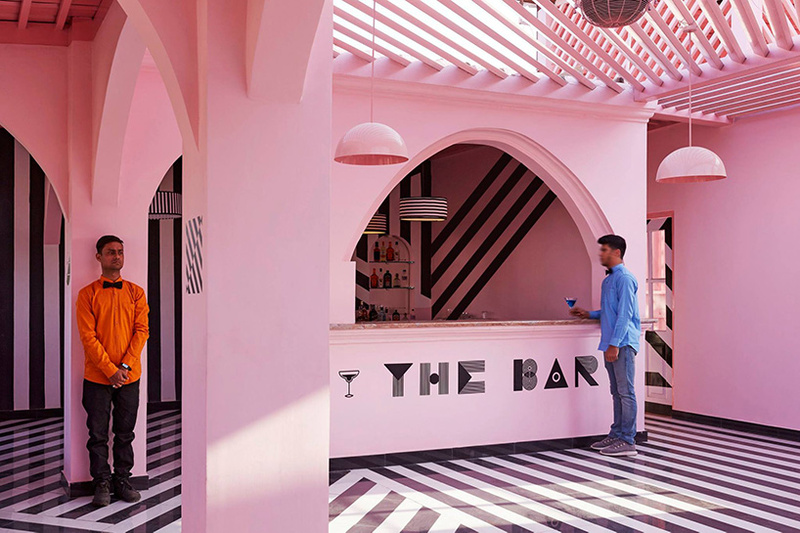 the project, which has been designed by RENESA, is located inside of the oldest structures in kanpur, a major industrial city formerly known as cawnpore. 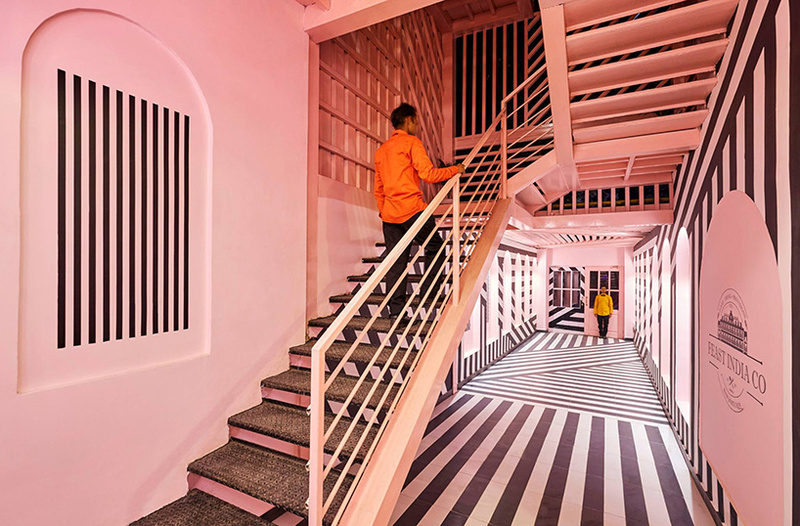 described as a ‘concoction of design theories’, the scheme responds to the complex and contradictory architecture that populates the city. 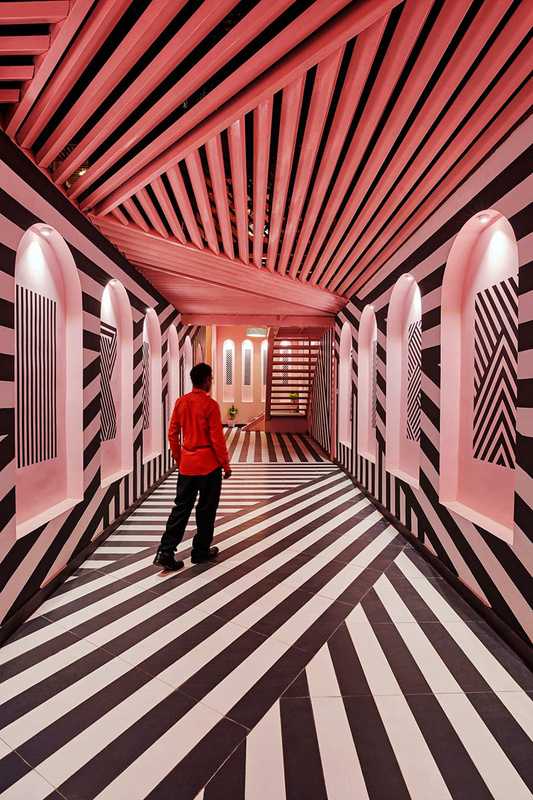 ‘the core idea was to create a hybrid rather than pure, compromising rather than clean and leave the visitor hanging in the middle of an artistic sea,’ explains the design team. 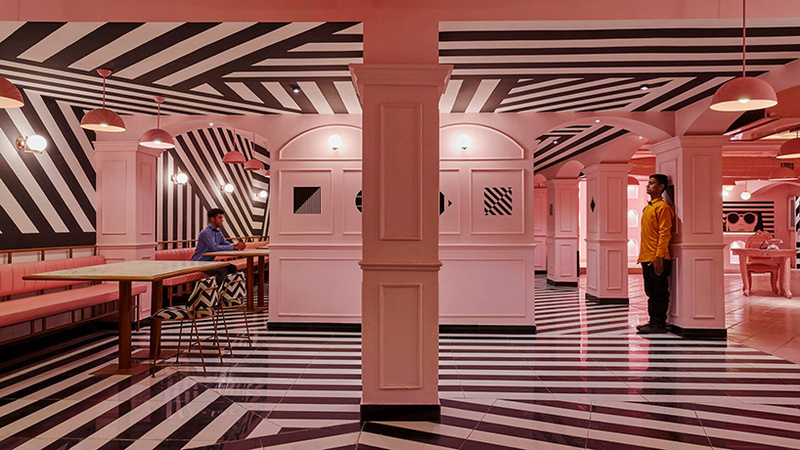 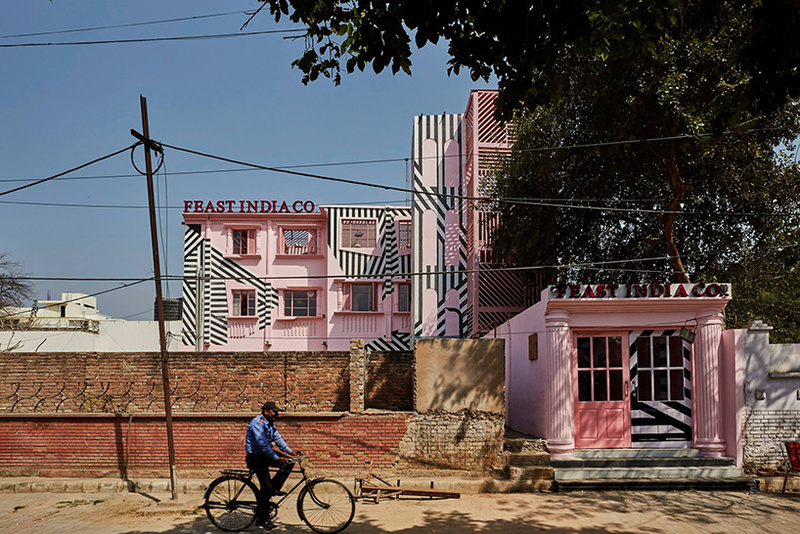 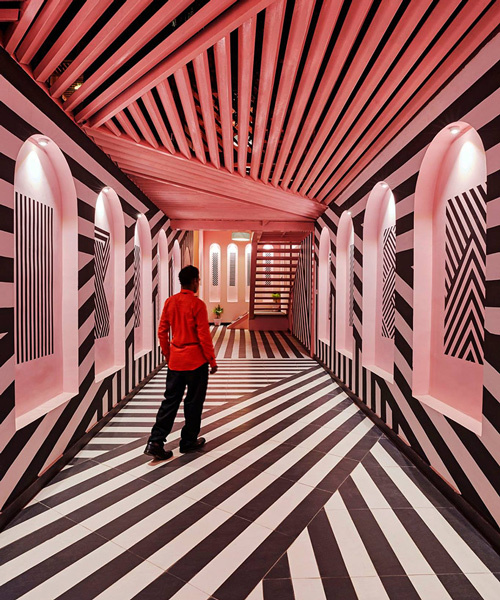 dubbed the ‘pink zebra’, RENESA’s design for the feast india co. eatery drew from the client’s love of wes anderson movies. 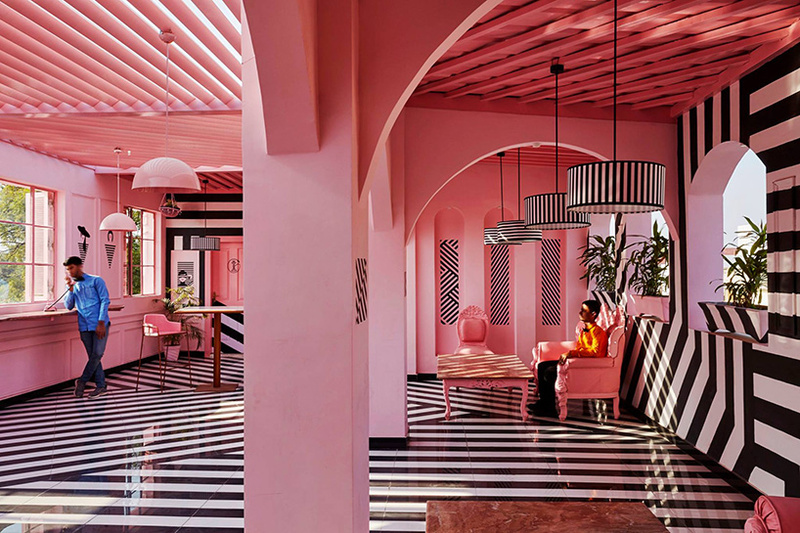 the interior references the american filmmaker’s use of symmetry and restricted color palettes, which often give the expression of a surreal, self-contained world. 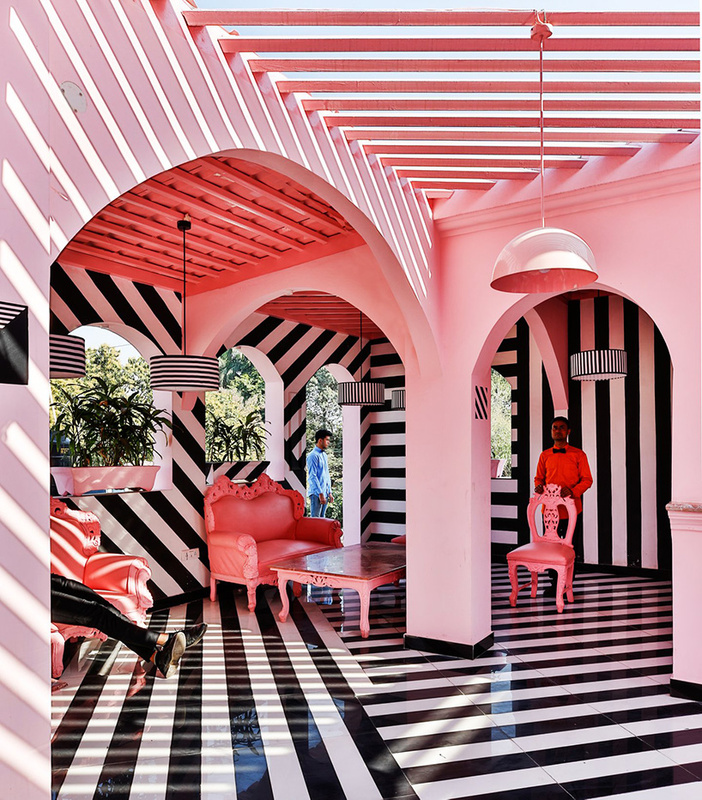 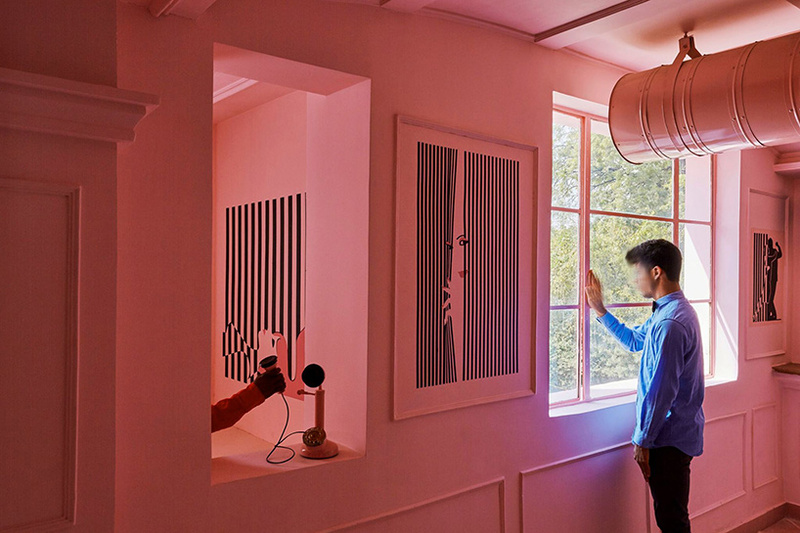 however, in order to break this rigorous spatial ideology, the architects added black and white zebra stripes to the pinkish tones often associated with the british raj.